Samsung has unveiled the latest Samsung Galaxy Xcover 4 rugged device that is the successor to Xcover 3 released back in 2015. It looks similar in design to the Xcover 3 but there are some interesting improvements made in the latest edition.The main focus of the rugged devices will be on durability. keeping in view of this Samsung has further strengthened the main frame and covered in rubberized coating for extended durability. The phone is IP 68 certified and can withstand prolonged immersion in water up to the depths of 1.5 m and also resistant to dust. Xcover 4 is guaranteed by U.S military standard rating (standard MIL-STD 810G) can bear the beating and has the ability to function in extreme temperatures such as low or high. 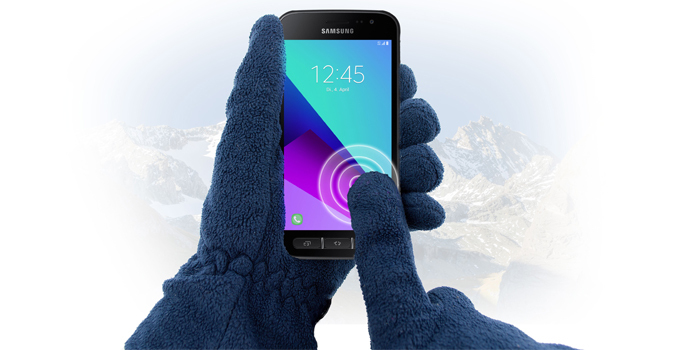 The phone is fully operable using gloves. Apart from the above features X cover 4 packs impressive specifications.